Wind generation already in operation in 2017 could completely power 75 million US cars if they were electric. The US wind generation installed in 2018 alone would power about 2 million more US electric cars. Let’s start with 2017, as the full year’s generation of 254.2 TWH is known. That’s about 6.3% of total generation in the USA. It will be higher in 2018 when the numbers are run of course, but we’ll return to that. And let’s use the USA’s annual driving figures of 13,476 miles per person, because they drive a lot further than anybody else in the world, mostly in inefficient single-passenger internal combustion cars and light trucks. A million cars would drive 13,476,000,000 miles or about 13.5 trillion miles in a year. Simple math says that you divide the 13.5 trillion miles by 3.97 to get the kWh required for the distance. That gives us 3,394,000,000 kWh or about 3.4 tWh of electricity required for a million cars for a year. 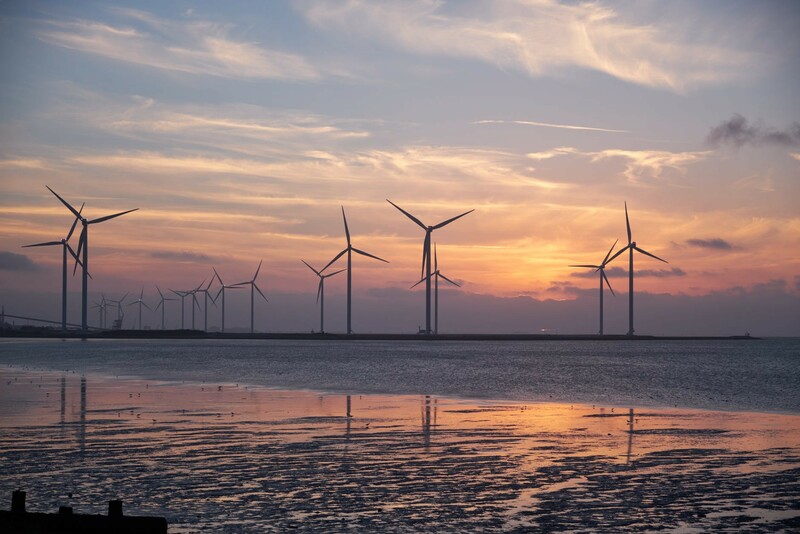 In 2018 in the first three quarters, a cumulative 1,644 kW of wind generation capacity was turned on. Assuming Q4 is slightly lighter than the first three quarters, let’s assume we’re adding 2,000 mW or 2 gW total wind generation capacity in 2018. Wind generation was running at 40% capacity factors for newly built wind farms 3–4 years ago, so let’s use those conservative numbers. That would suggest that in 2019, the 2 gW of capacity installed in 2018 alone would generate about 7,008,000,000 kWh or 7 tWh and change. Simple math leads to the realization that the wind generation capacity installed in 2018 alone could power two million cars. Mark Jacobson’s 100% by 2050 study gives 50% of total demand to be provided by wind generation, split 30.9% onshore, and 19.1% offshore. Ignoring improved offshore capacity factors, and scaling from the 2017 6.3% for 75 million cars, that suggests wind generation in 2050 could be sufficient to power about 600 million cars, more than twice the total cars in the USA today.